With this option, your pet is cremated privately at a licensed crematory. The ashes are contained in a lovely rosewood urn and are available directly from the crematory within two weeks. This option is for families that don't wish to have their pet's ashes returned nor wish to bury at home. Pets are respectfully cremated with other pets at a licensed crematory and ashes are scattered at sea. Our understanding Care Coordinators answer your calls every day, from 4:00 am - 8:00 pm. Appointments are scheduled throughout the week, please call for availability. If this is a medical emergency, please contact your local veterinarian or refer to our local resources below. I have loved, respected, and been fascinated by animals and nature all my life. Pets have been an important addition to my family. We had cats, dogs, and tortoises growing up in the suburbs. Later on, when I moved to the country, I added horses to my life. When I attended veterinary school at Western University of Health Sciences in southern California, my most constant and faithful roommates were my cats, Jazmine and Blanco and, later, Jasper. They were always there to help me read or study for an exam. They always “listened” when I would explain to them in detail how their organs functioned! It is never easy to say good-bye to an animal friend. Knowing this from personal experience, I wish to provide comfort for pets and peace for their families when it is time to say good-bye. Watching, observing and being with nature and animals provides a peace and comfort to me. In my free time, I like to hike and photograph nature. I grew up in Southern California as the youngest of 2 children. Although my parents didn’t love animals, they did allow us to have hamsters and eventually dogs and cats. There was never a time when we weren’t surrounded by animals and though it wasn’t a direct path, I fulfilled my childhood dream of becoming a veterinarian by graduating from the University of California at Davis School of Veterinary Medicine! Throughout the journey to obtain my degree, my heart dog Duchess, a gorgeous and ridiculous 140-pound Great Dane, has accompanied me through all the ups and downs. She has been a constant companion and my reason and inspiration for pursuing this path of veterinary medicine. It is because of her that I understand the depth and strength of the human-animal bond which is deeper and stronger than anything in this world. During my years as a general practitioner, it was my honor to help families give the greatest gift to their beloved pets; the gift of a peaceful passing. The bond between pets and their parents is precious and I am beyond blessed to pay tribute to and honor that bond through Lap of Love. "Dr. Kiert was very caring, patient and professional. She called to let me know she would be late, to keep from adding stress to my situation. I cannot say enough good things about her and how she helped me with the heartbreak of letting Jake my cat pass on. He was a gift from my late husband and losing Jake felt like I was not only losing my beloved cat but another link to my husband. Dr. Kiert listened patiently while I talked about my love of Jake and how I got him. She did not hurry me to say when I was ready but let me make that choice. She gave him the anesthesia carefully and when it was time for the second injection she was skillful and found a vein the first time. I held him the whole time. When it was time for her to take him, I had a horror of how he would be transported. She went to her car and brought a basket and blankets she had brought for him. She tenderly placed him in the basket and arranged the blankets so he appeared to be sleeping. She made a heartbreaking experience more bearable." 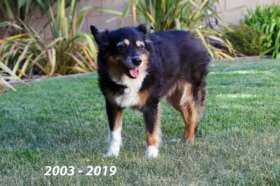 "Having to make one of the hardest decisions of our lives, in letting our sweet Capone cross over the rainbow bridge, Dr. Sue showed the kind of compassion that is rarely seen anymore. Her comforting words helped us to see that we were making the right decision for our boy. 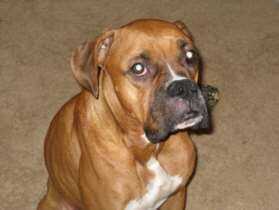 Capone was the best friend I never knew I needed and gave his love unconditionally for 13 1/2 years. Dr. Sue explained everything and provided calming reassurance every step of the way. Thank you Dr. Sue for helping us through our difficult time." "Dr. Sue is an angel here on earth. She kind and patient during a time of grief for a pet family. I would not hesitate to call for her again when I need it and I will recommend her and Lap of Love to anyone who wants the last moments with their pet to be as comfortable as possible in the pet's home. "In a time of grief and sorrow for our family Dr. Sue and Tina from Lap of Love were extremely sympathetic and caring. They helped our family through a most traumatic event." "I am so grateful to Dr. Sue Mowatt and Lap of Love for helping us give Curly the sweetest and most loving goodbye. Dr. Sue was so great with our sons. She explained everything in detail and it really helped us feel at ease and confident that we were doing the right thing for Curly. 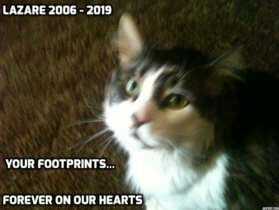 Curly was our treasured friend for over 15 years. He lived to bring us joy. It was the least we could do to be with him at home and love him during his final moments. I will forever be grateful to Lap of Love and Dr. Mowatt." "I have to thank from the bottom of my heart both Bethany Kuechler, BSW, my first phone contact with Lap of Love, and Dr. Sue Mowatt, DVM. Both of these amazing women have beautiful hearts. They listened to my grief-stricken rambling, assured me this was the right time to do the right thing. I never felt rushed, not once. Dr. Sue even examined Lazare and explained from her experience why Lazare's life was fading. Giving my baby the gift of a fear-free, loving, gentle moment of passing in our own home was the right decision. Thank you, from the bottom of my heart." Our veterinarians proudly serve families in the greater Sacramento area including, but not limited to, the following towns: Fair Oaks, Orangevale, Roseville, Sacramento, Folsom, West Sacramento, Cameron Park, Placerville, Rocklin, Loomis, and Carmicheal. A travel fee of $30-$60 may be assessed based on distance travelled by veterinarian. Pease inquire to learn more. Bailey loved many things but she was particularly fond of Butterflies, food, walks and more food. Notice food was mentioned twice, Bailey was definitely passionate about her food, especially Linda’s treats. Which is why Linda’s barkery is named “Bailey’s”.